It’s highly unlikely you’ll ever find me in a supermarket unless my life depends on it. Nipping in and out quickly for food here and there is one thing. But I don’t aimlessly browse and would possibly rather chew off my arm than go food shopping. Dramatic huh? So with a huge Negative Nelly mindset at the thought of having to breach the dreaded sliding doors, you can imagine why supermarket homewares have by and large passed me by. The wonderful thing about blogging though is that it opens your eyes to a plethora of choice. So it was that I popped along to the Sainsbury’s Home SS18 preview last autumn and loved pretty much everything I saw. 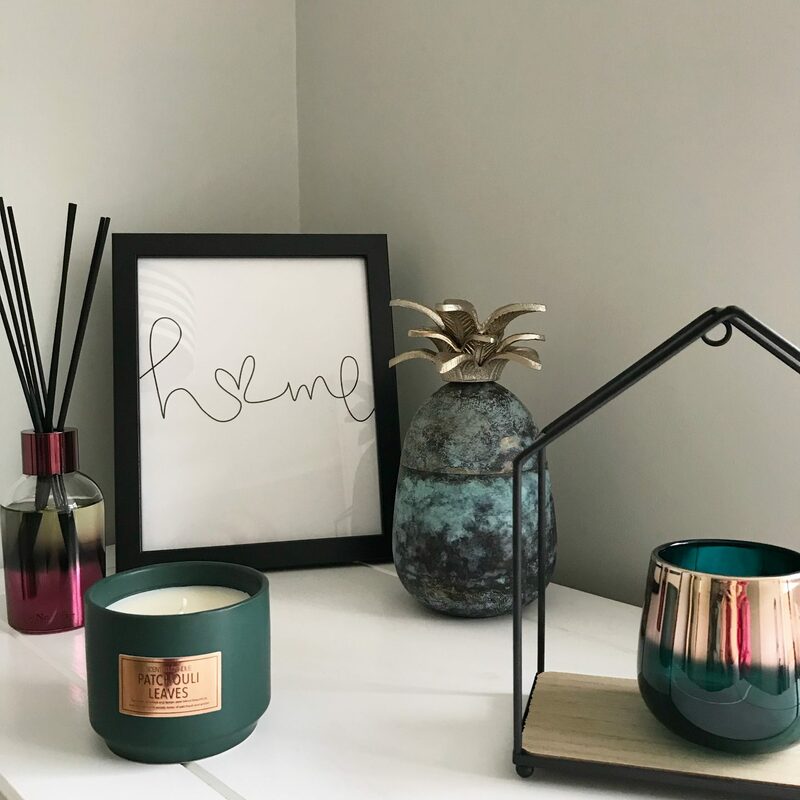 Sharing a picture of my adventures on Instagram after the event saw me win £150 to spend on the new collections for our home. That’s basically my version of a trolley dash right?! Fortunately we live very close to a Sainsbury’s hypermarket and one Friday evening a few weeks ago Mr D very kindly ferried me up there to spend some pennies. Now let it be said – I never thought I’d be the kind of person that finds it hard to spend ‘free’ money. And there was absolutely no shortage of choice of what to spend my winnings on. But wow it’s SO much harder than I thought it would be to shop! Of course, those feelings didn’t last long and whilst he went off to pick up some food (result!) I wheeled my trolley backwards and forwards filling it with lovely goodies. We’re working on our spare room at the moment, a state of flux which means I’m on the one hand picking up all the little finishing trinkets and on the other hand, booking in new windows and looking at radiators. There is no logic in my head when it comes to our home renovation. So what did I come away with from my Sainsbury’s Home escapade? 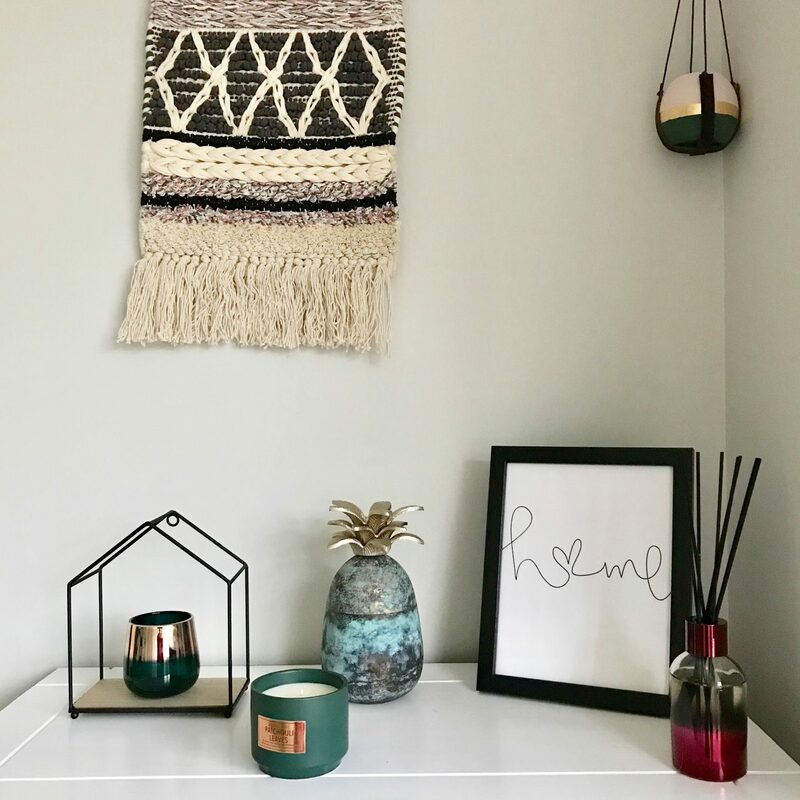 Well aside from some bathroom and garden furnishings which I’ll share in a separate post, I found some great pieces to go with the, ahem, eclectic decor in our spare room. This Palm House Green Leaf Pattern Throw (£15) is now on our sofa bed which is a lighter more minty green colour. 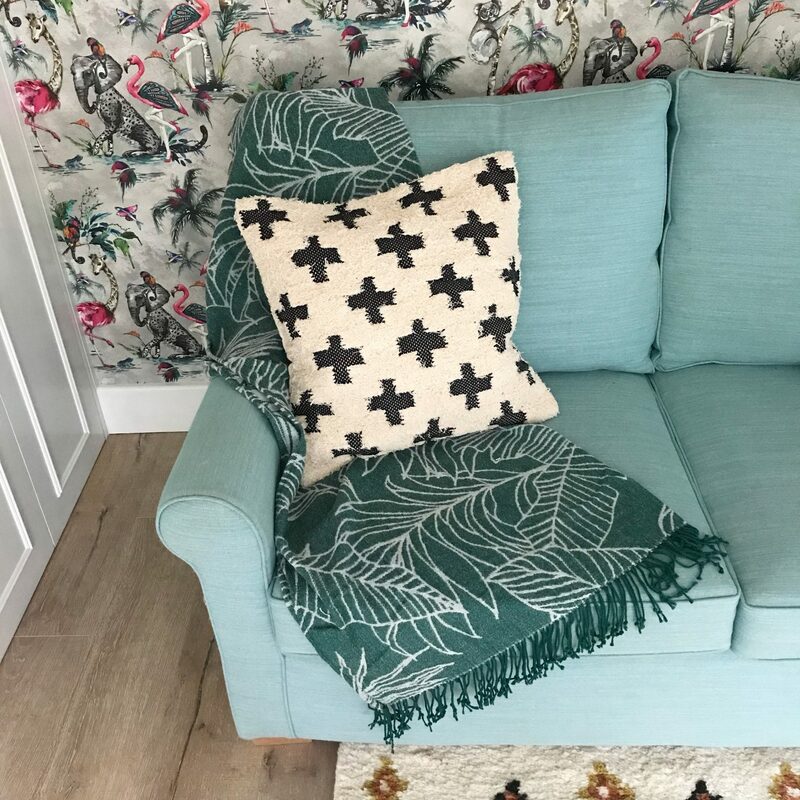 Interiors styling is a strange thing – we bought the sofa bed before I was really blogging regularly and if I could choose again it possibly wouldn’t be this style. But it’s amazing quality and since we had to take the banisters off to get it up the stairs, it’s going nowhere. 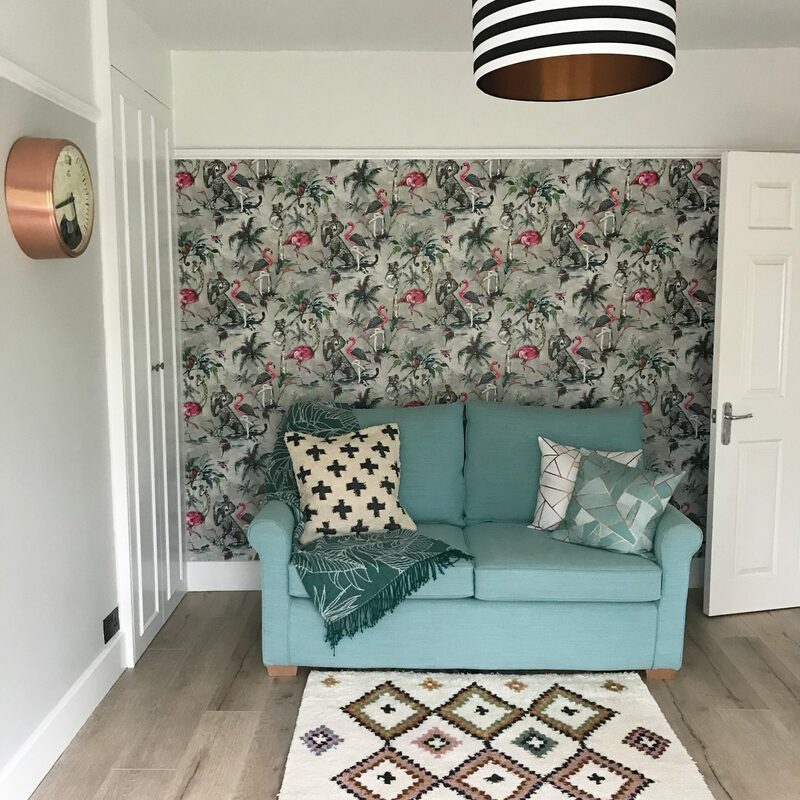 Now it’s teamed up with our crazy wallpaper from Muck ‘n’ Brass wallpaper and I’m adding cushions and throws it’s definitely coming into its own. 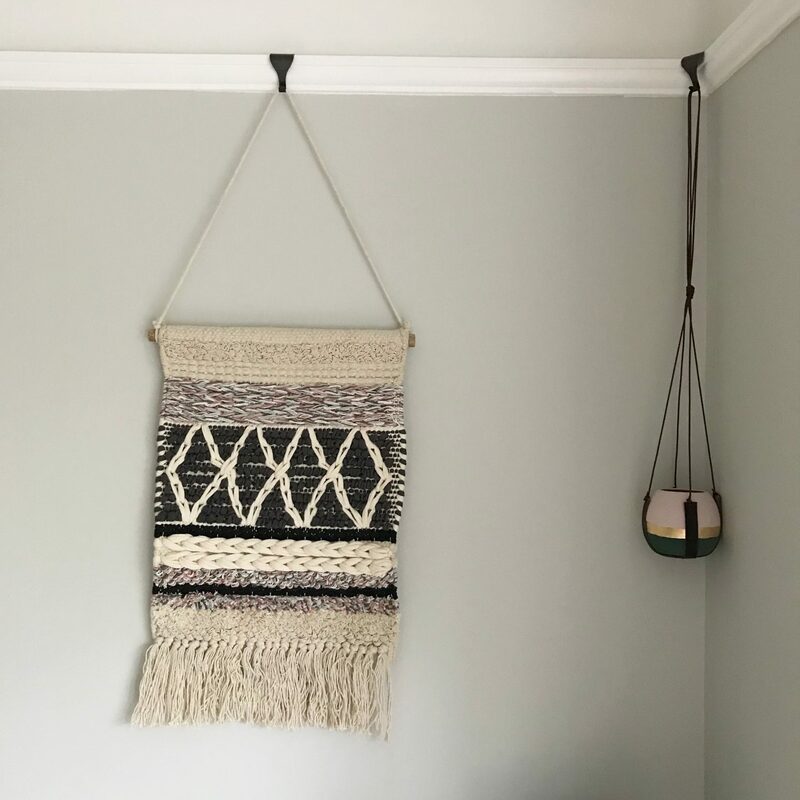 Next, this Bohemian Traveller Woven Hanging (£10) which I loved as soon as I saw it. The colour scheme in our spare room is greys, pinks and greens so this goes perfectly. We recently had the picture rails put it back in after previous owners took them out and with some smokey bronze mouldings to hang it from the picture rail, the colour scheme really works. In one corner of the room I have a little chest of drawers which was a very early blogging collaboration with Wayfair. I was going to replace them with something else but am now thinking that a paint makeover would be better as they make great storage. So for the quintessential decorative purposes, everyone needs a pineapple jar don’t they? 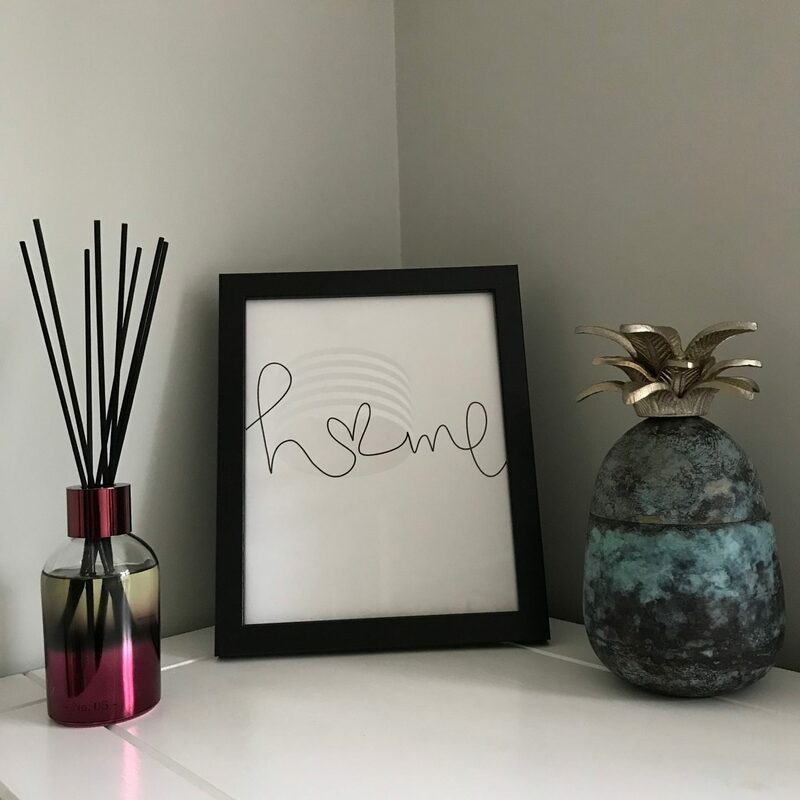 This is the Sainsbury’s Home Palm House Pineapple Objet Large (£15) and it’s a keeper. I’m so pleased with all the items that came home, the only problem is now whenever we have food shopping to do I’ll be wanting to add so much more to the trolley. Never mind going to the pub on a Friday night, if you need me I’ll be at Sainsbury’s. Gaaaaah!! I LOVE Sainsburys home wares!! They have some absolutely amazing stuff at bargain prices! I’m like you, I can’t stand shopping. I usually know exactly what I want, I get it and I leave. And its usually at a time when there are no people around! CANNOT stand queuing! Though I have snuck in a couple of pieces when he hasn’t been looking. But don’t tell anyone haha!! I Absolutely love your colour scheme! Totally works! Thanks for sharing this awesome post. These are amazing products. I just love these beautiful pictures.